Have you ever visited your friend or a spa and desired to have a pool in your background? If yes, you only need to contact the best pool builder and have the joy of having a pool at home. Well, it goes without saying that getting the right pool builder is not always a walk in the park and because we care so much about you, we will tell you why you should always work with Regal pool and design. Over the years, we have given our best to our customers and our efforts have been rewarded greatly. We have been rewarded by The Association of Pool & Spa Professionals for four years, Gold in 2017, silver in 2016, bronze in 2015, and award of merit in 2014. The Master Pools Guild Award has already rewarded us for four years, that is, 11 awards in 2018, 10 awards in 2017, 9 awards in 2016, and 3 gold awards in 2015. We are also proud to have received an honor to appear on the list of Top 50 Pool Builder awarded by Pool & Spa News, and in 2015, we earned the Best of Houzz 2015 courtesy of Houzz.com. 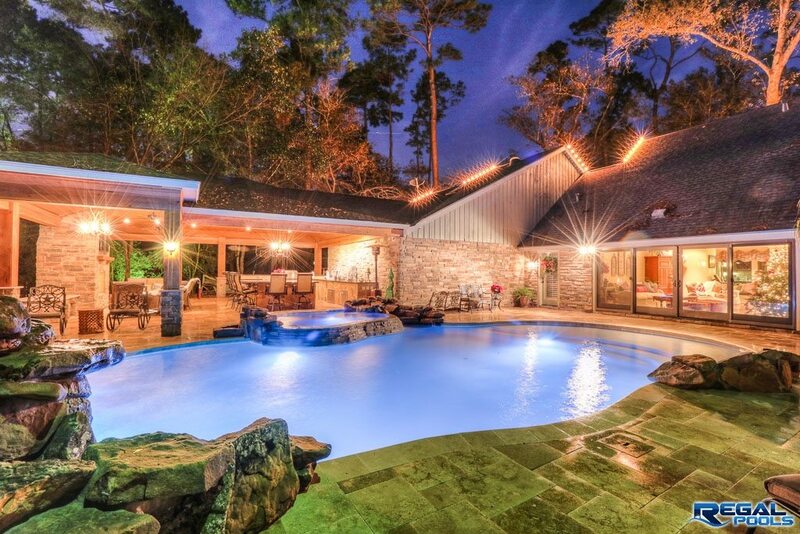 In 2014 and 2015, our efforts were awarded by Pebble Tec Words Greatest Pools and if you are looking for pool builders Cypress TX, you have all the reasons to trust us. 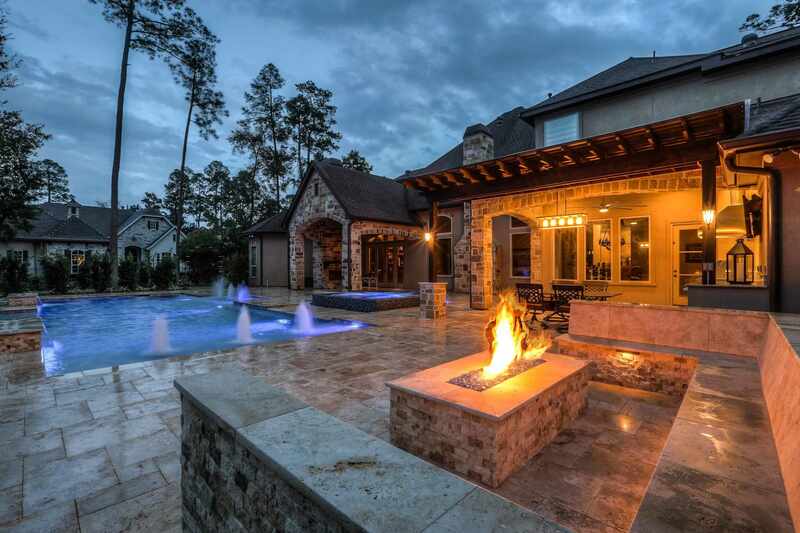 Regal Pool and Design is a custom pool builder that was established in 2008 by Josh Buzzell to meet the need of many pool owners from Conroe, Magnolia, Montgomery, The Woodlands and Cypress, Texas. We are specialized in all pool services from designing and constructing a new pool to renovating and remodeling your pool. If you have your own pool, you can as well trust us for swimming pool services and pool equipment upgrades. We understand that our customers are the most important people in our company, and we are dedicated to serving them to ensure that they find happiness in their pools. We have a team of well trained and experienced craftsmen who work closely with reputable contractors to deliver our promise on exceptional customer service and beautiful custom design. If you are looking for a custom pool builder Cypress TX, your search ends here as we are the perfect match for you and through passion, dedication and thrill, we will make your dream of having the best pool come true. At Regal Pool, we understand that having a pool is one thing, and maintaining it is another thing. Also, we understand that a pool is a great investment which besides adding elegance to your home, it adds the resale value of your property. Apart from building pools, we are specialized in remodeling, repairing and performing monthly services to your pool to ensure that it reflects its glory all year round. We also offer outdoor living consultation to improve the living style of your backyard by creating the outdoor living space you’d dream of. At Regal Pool and Design, our aim is to walk with every pool owner to ensure that their pools are clean and healthy. Every week, we offer chemical check and addition; brush benches and walls; empty skimmers and cleaners and dispose of debris. We also provide filter backwashing and visually inspect the equipment to ensure that they are running as they should. Our aim is to be as transparent as possible and in case there are leaks or repair needed, we will always let you know. For a pool to maintain its beauty many years to come, weekly full service is necessary and we are pool builders Cypress TX suited for that task. We provide chemical check and addition; emptying skimmers and cleaners; brushing benches, walls and steps; netting and vacuuming the entire pool; and inspecting pool equipment and notifying the owner about leaks and needed repair. If you have realized that your pool is not reflecting its beauty in the best way possible, the secret to bringing it to life is looking for best pool builder and you can never go wrong by choosing Regal Pool and Design. The pool may develop stains and cracks on the floor, some equipment may fail to function efficiently, and tile may go out of style and this company is here at your service to give exceptional renovation and remodeling services to give your pool a new life. It goes without saying that people are different and have different designs and preferences as long as pools are concerned. At Regal Pool, we walk with you through the journey of deciding the best design for your pool based on the available space and your budget. Interestingly, we examine your entire background and we incorporate things like outdoor kitchens, landscaping, fireplaces, pergolas, and outdoor living areas to ensure that you find happiness in your home. What makes us stand out among our competitors is the fact that we focus on details to give you what you want. When it comes to choosing the finish, we provide you with available options to make your choice based on your preferences and household needs. Pebble Tec® brand pool finish, for instance, is a perfect choice for anyone looking forward to giving their pools a more natural look. It comes in 18 different attractive colors all of which will blend amazingly with landscaping and water features. Pebble Tec® also ensures natural elegance and will reflect the beauty of your pool many years to come. Pebble Sheen® brand pool finish offers durability and natural beauty of the original Pebble Sheen® along with extreme beauty. Tiny pebbles are joined together to form a colorful mosaic that is not only beautiful but stain resistant. They come in 16 colors thereby making it easy for you to choose the one that reflects your lifestyle. Ledge Lounger provides serene outdoor spaces for both relaxation and entertainment and makes your backyard to become a true definition of beauty. They are made of high-quality and durable materials that withstand outdoor elements and therefore when having fun with friends and family in your backyard, they provide you with peace of mind to enjoy every special moment. Cypress, Texas sits twenty miles northeast of Houston. The first inhabitants were Atakapan Indian tribes that didn’t survive when white settlers moved in the area. German immigrants settled along Cypress Creek in 1840 along ranching Anglo-Americans. In 1980, there were many streets and schools that bore the names of original settler families, such as Matzke Elementary and Huffmeister Road. In 1878, a dancehall was established on Huffmeister Road but unfortunately, it burned down a few years later. With the help of Rifle Club and Cypress Gun, the settlers re-established the dancehall building using corrugated tin. The first school in Cypress was established in 1884 and later became the Cypress-Fairbanks Independent School District. Oil discovery in 1904 along the Gulf Coast led to the development of the Cypress area, which together with rice cultivation and dairy farming drove the economy of the area until postwar construction changed it. In 1980, the population of Cypress was less than 100 which expanded exponentially to 174,489 in 2018. The weekend is finally here and after encountering so many challenges in your place of work as you try to make ends meet, the best way to relax and regain your energy is going on a vacation with friends and family. 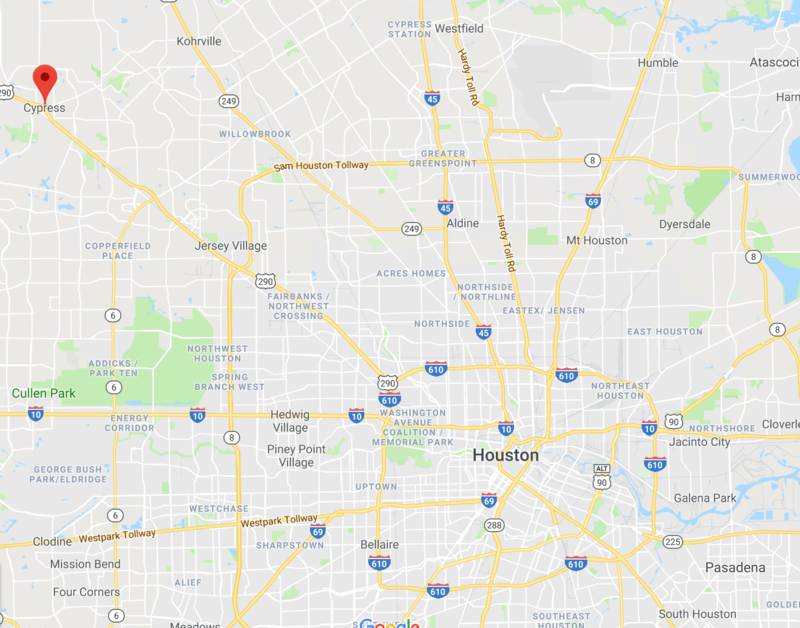 Well, choosing the best destination could be overwhelming but because you are reading this article, heading to Cypress, Texas would be a great idea to create memories that will last for a lifetime, and here are the best things to do. Whether you are planning to head to Cypress with your children, parents or your lovebird, Urban Air Trampoline Park has everything for everyone. It provides different varieties of attractions like trampoline dodgeball arenas, wall-to-wall trampoline arenas, Tunes Obstacle Course, trampoline freestyle areas, wall climbing and much more just for you. If planning to go on a vacation with your workmates or schoolmates, you need a place that will give you peace of mind and you can never go wrong by choosing the Berry Center. It’s the largest onsite indoor space in Cypress with more than 8,300 seating to host concerts, events or sporting. It’s also the best place to hold a business meeting and school discussion as you’ll have minimal disturbances. Also, you can surprise your workmate, friend or family member with birthday/wedding anniversary in the Berry Center. Do you love playing hockey? If yes, head to the Blackhorse Golf Club and get active by participating in what you love in a unique, exquisite and relaxing place. Regardless of your level of experience, Blackhorse Golf Club accommodates various changes that will make you feel like you are playing golf for the first time. Do your children have a passion for drawing? If yes, help them sharpen their drawing skills by taking them to Painting With A Twist Studio. There are trained artists who will give guidance to your children throughout the painting process and besides that give encouragement to those with self-doubt about their talents. We are living in the 21st century where children love spending time indoors playing games and watching television. Well, that’s not a bad idea but break away from the indoor atmosphere and take your children to play and socialize with their age mates at The Woodlands Children’s Museum. Here, your kid will get an opportunity to visit a pretend firehouse, build with giant soft blocks, and stage plays.